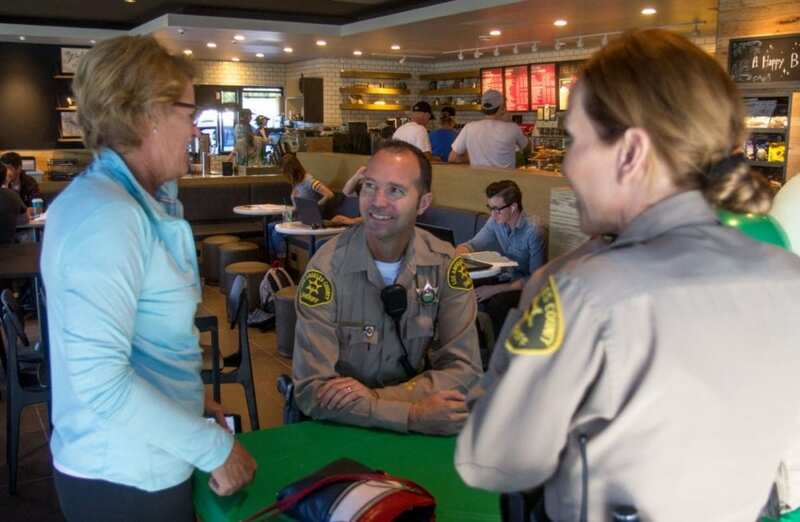 I’ve been familiar with Kevin Duxbury’s service to our country and to our community for quite some time, but when I spotted him at a recent Santa Clarita City Council meeting, I asked him if he was interested in an interview. He instantly reacted as I hoped he would and it wasn’t long before we met for coffee and a most enjoyable conversation. I was amazed to learn that when Kevin served in the U.S. Army, he had served in Haiti, the Balkans and Iraq. 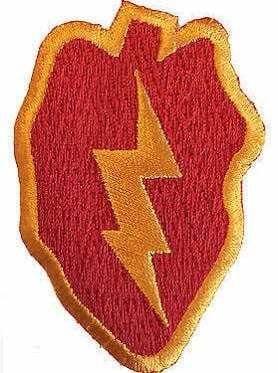 Oldest Military Branch Kevin B. Duxbury was born April 7, 1969, in Burbank, California, at St. Joseph’s hospital. He lived in Canoga Park until age 9 when his family moved to Saugus. Kevin attended Saugus High School but graduated from Palmdale High School in June 1987 after his family moved to Acton. 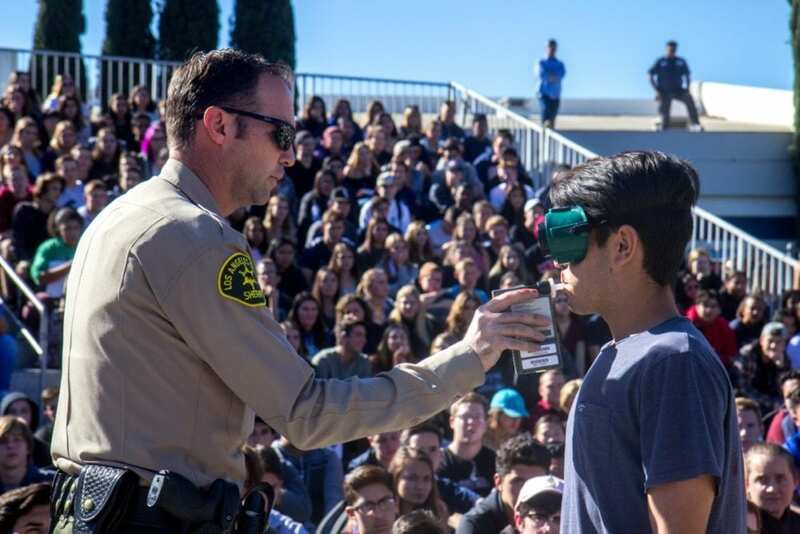 Following high school, Kevin worked at Acton’s Pioneer Feed Store and Acton Market as a box boy and cashier while attending Antelope Valley Community College where he earned an Associate’s Degree in General Education. Kevin then attended Cal State L.A. for two years. 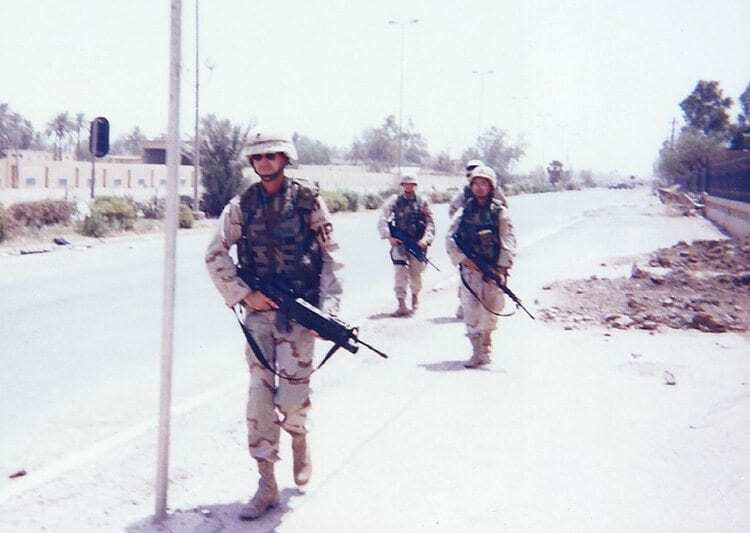 However, the U.S. Army, as America’s oldest military branch, was always on Kevin’s mind so he enlisted in 1993 at Lancaster’s Army Recruiting Office. For the next 16 weeks, Kevin took Basic and Advanced Infantry Training at Fort Benning, Georgia. Assignment in Paradise Following a two week leave of absence, Kevin was assigned as an 81 MM mortar man to Oahu, Hawaii, with the 25th Infantry Division. When I blurted, “Wow, what a lucky break”, Kevin said, “I have stark memories of Oahu’s excessive rain and irritating red clay terrain, but our off duty time was exceptional”. 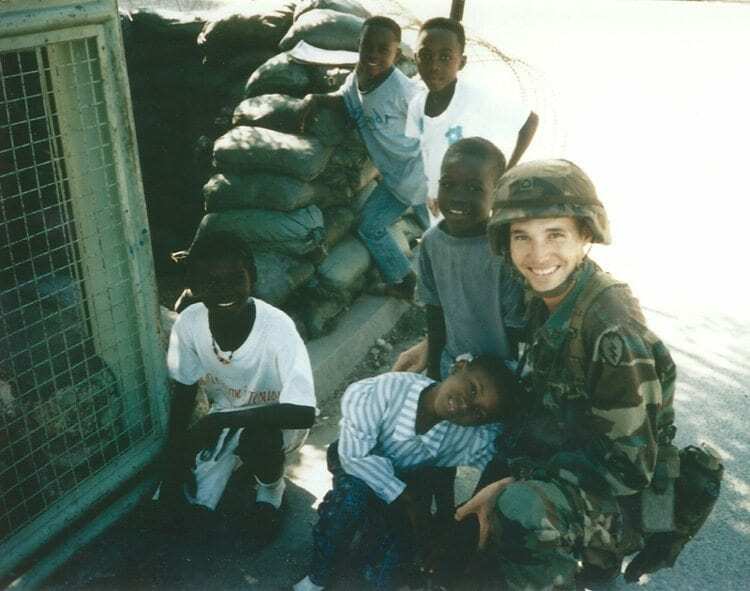 Kevin was assigned to Oahu for two years, but in early 1995, he and 4,000 25th I. D. soldiers deployed to Haiti along with UN forces from 27 countries during the Haitian short lived uprising. Kevin recalls their opposition immediately fleeing without firing a shot as the 25th Infantry troopers arrived in Haiti. Re-upped in the U.S. Army After quelling that Haitian uprising, Kevin and his fellow troopers returned to Oahu, but to Kevin’s dismay he was soon transferred to Fort Hood, Texas, for the next three years. Kevin became part of “Force 21”, a mechanized unit that tested new weapons and in particular a 120 MM big gun mortar. Kevin was not terribly fond of being in mechanized so in 1996 Kevin re-enlisted for three years with the Military Police. By this time Kevin had been promoted to Sergeant E-5 and was sent to Fort McClellan, Alabama, for MP training for eight weeks. Next he was sent to Kitzingen, Germany, assigned to the 212th M.P. Company. Genocide in the Balkans Meanwhile, Yugoslavia was collapsing which led to massive genocide in the Balkans resulting in Kevin’s unit being assigned to Bosnia, Albania and Kosovo on three separate deployments as a stabilizing force responsible for peace keeping and to stop the genocide. 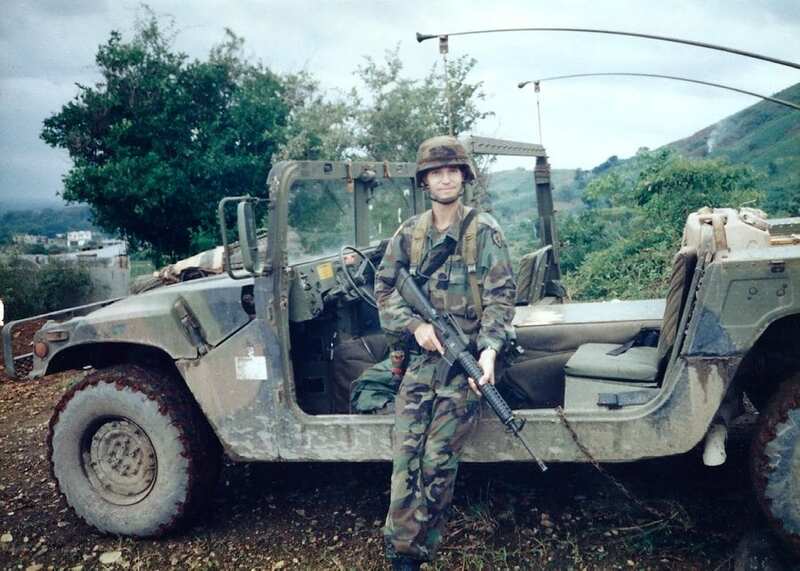 Land mines and snipers were a major problem, but their “Up Armored Humvees” served as excellent protection during Kevin’s 18 month tour of duty in the Balkans. Once Slobodan Milosevic was overthrown, peace finally came though U.S. forces are still present in the region. Kevin loved the beauty of the Balkans and its people absent the violence, which Kevin found terribly disconcerting. Honorable Discharge After serving in the Balkans, Kevin was ready for an Honorable Discharge which he received in Kosovo in February 2000. Going back to Kevin’s pre Army days, he married his first wife in Acton and while in Germany she came there and their beautiful daughter Anela, which means “Angel” in Hawaiian, was born. In 2003, their son Tucker was born. They named him after two brothers named Tucker who were killed aboard the USS Arizona on December 7th 1941. Once discharged, Kevin pursued a job with less excitement, but he had great difficulty finding a suitable job to raise his family. He and his young family even had to live with his in-laws, but fortunately, he learned of openings with the Los Angeles County Sheriff’s Department. He graduated from the sheriff’s academy in May 2001. Back to Uncle Sam’s Army Once a deputy sheriff, Kevin was assigned to the East Maximum Security section at Peter Pitchess Detention Center in Castaic. To supplement his income, Kevin enlisted in the U.S. Army Active Reserves in August 2001. Three weeks later, radical Islamic terrorists attacked New York City and Washington D.C.’s Pentagon killing 2,996 innocent people and wounding more than 6,000 others. Kevin immediately realized that his life would suddenly change and an immediate commitment to two years of active service ensued. Soon he received orders to report to the 314th M.P. Company at Fort Bliss, Texas, for Homeland Security requirements. Fort Bliss was deemed a high target area considering its Patriot Missile installations. Sadly, this assignment proved challenging to Kevin’s first marriage. Kevin finished his tour of duty pulling security at a small squalid prison that housed wives and daughters of Saddam Hussein’s highest ranking officers which sent these women from opulent palaces to an austere existence. Soon, Kevin’s first sergeant announced his unit’s tour of duty would end in three weeks. Initially, Kevin was incredulous thinking that he might not make it home in one piece with many fellow soldiers wounded and one killed in action. However, after 10 years of service to his country, Kevin returned home and his Deputy Sheriff’s job in 2004 determined to salvage his rocky marriage. But it was not to be and that period in Kevin’s life proved more emotional than at any time during his Army service. 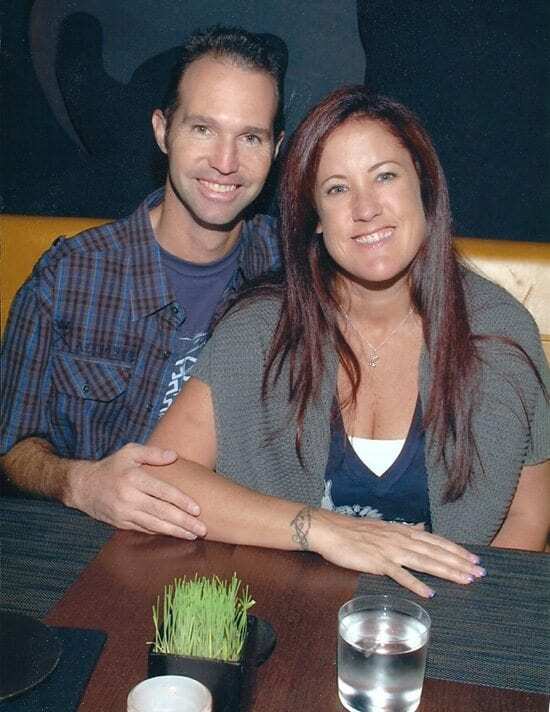 Love at First Sight In 2005, Kevin attended a garage sale charity event that supported our troops and Hurricane Katrina victims when he met Kym Lyznick, an attractive Deputy Sheriff, who passionately ran such events. Kevin knew immediately when he first laid eyes on Kym that she would be a major part of his life. Subsequently, they dated for three years and were married September 13, 2008. Kevin told me, “Kym found me at a garage sale.” Kym, a devout Christian, brought Kevin back into church, the Valencia Hills Church, and he reckons that she saved his life. Kym’s daughter Madison and Kevin’s daughter Anela have become great pals and both are attending college. These days, Kevin continues his excellent Deputy Sheriff’s work and prides himself in taking bad guys off the street. Kym went on to become the Military Veterans Affairs Officer for the entire Los Angeles County Sheriff’s Department. Indeed, a big job. It’s obvious that Kevin loves his job as he emotionally and with great pride told me of the recent occasion when he saved a woman’s life who had passed out in a vehicle by administering CPR. Many thanks go to Kevin and Kym for their outstanding service to our country and to our community.